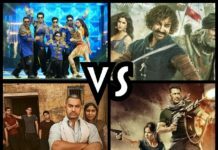 Happy New Year vs Bang Bang vs Kick vs Singham Returns : Day-wise Box office Collection of the biggest hits of Bollywood 2014. Happy New Year released today with huge hype and buzz. The movie took an earth shattering opening at Box Office and raked in around 41 crores on its opening day. With this, Happy New Year is now the highest opening day grosser of all time. 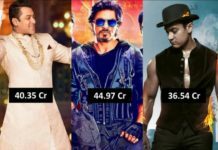 Happy New Year beats the highest opening day record of Dhoom 3 whose opening day collection was 36.02 crores. The response has been tremendous and the movie is expected to break all possible Box Office records in coming days. 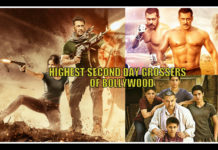 In this report we are comparing the day-wise Box Office collections of the biggest hits of 2014. 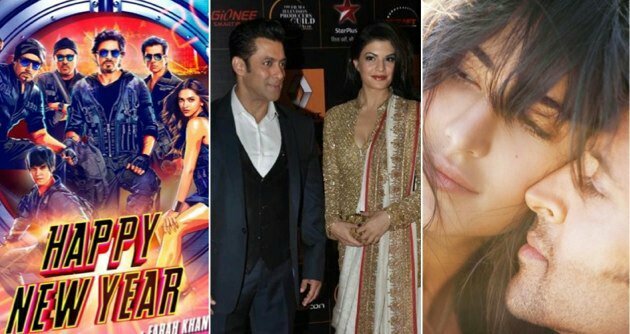 Kick is the highest Box Office grosser of 2014 with lifetime collection of 233 crores though Singham Returns has the highest opening day collection of 2014 till release of Happy New Year. Singham Returns collected 32.09 crores on its opening day to become the highest opening day grosser of 2014. Salman bhai ne ek bar commitment kardiya toh khut appna aapke bhi nahin sunta isliya bhai aaj blockbuster King kehlatey hai or no.1 par hai and good looking and good manner so that’s why we all love you SALLU BHAI keep it up. Salman bhai ne ek bar commitment liya to phir kisikebhi nahin sunta or khut appna aapke bhi nahin isliya bhai aaj blockbuster King kehlatey hai or no.1 par hai and good looking and good manner so that’s why we all love you SALLU BHAI keep it up.